Buy now from Amazon for only $14.99. And, now there is another fun new Barbie doll that is available from Mattel for fans of the new Barbie movie, "Barbie: The Pearl Princess" which releases in stores today. 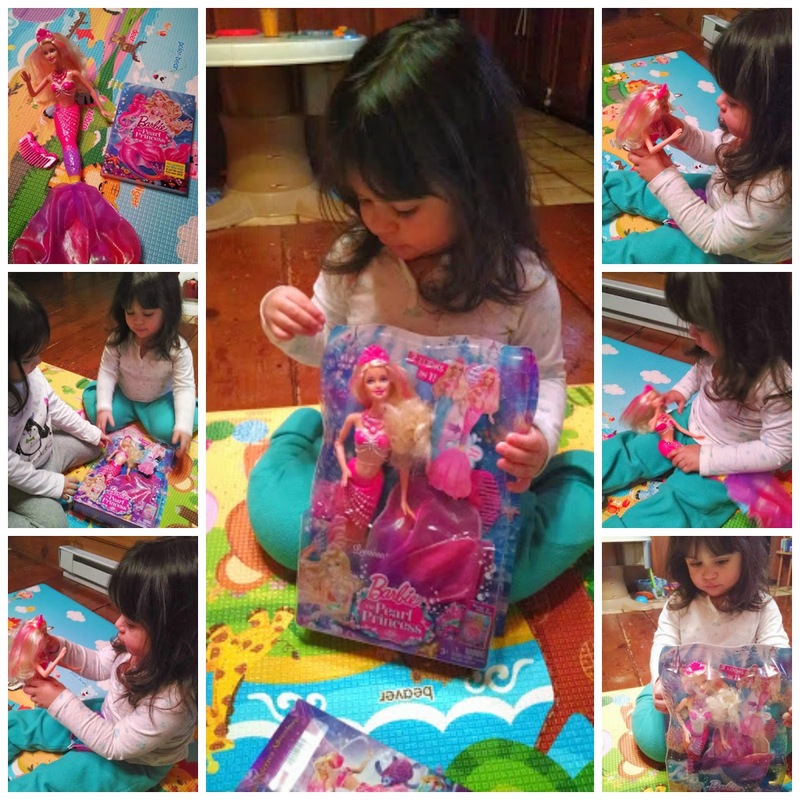 Thanks to the folks at Mattel, my girls got to have a sneak preview of this cute new Barbie The Pearl Princess 2-in-1 Transforming Mermaid Doll, as well as had a Barbie: The Pearl Princess movie screening party with a handful of their friends this past weekend. Hats off to Mattel for coming out with a fun new Barbie that can transform from a mermaid to a mer-princesss with the push of a button. And, what is a Barbie doll with a comb to brush her hair. This magical mermaid princess has a comb that you can store in the fin and pull out when you want to brush Barbie flowing blond hair. As a mom, I love this hide away feature for the comb, as the girls have lost their fair share of combs and brushes for their Barbies -- but, I will not have to worry with this unique feature. Out of my two girls, Bella is the one is more into dolls and Barbies. She is the cuddling and loves to snuggle up with her Barbie dolls, that is...when she is not dressing them or brushing their hair. 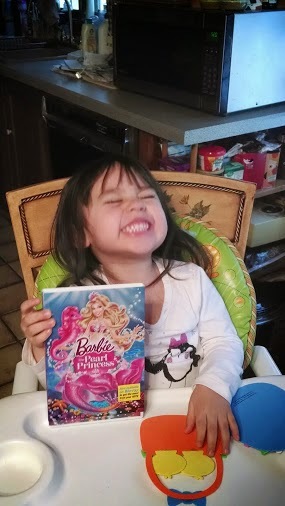 So, she was super excited when I surprised her and Savannah with the new Barbie The Pearl Princess 2-in-1 Transforming Mermaid Doll from Mattel. Since I took the mermaid doll out of the box, Bella has yet to put it down. OK, she puts it down to eat and such, but other than that, this magical and oh so beautiful Barbie doll is always with her. 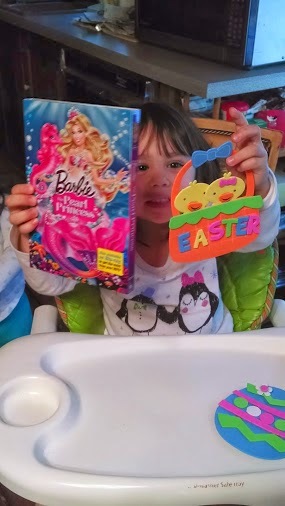 I love watching her giggle as she pushes the button on Barbie's necklace to release the mer-princess fin, which has a fancy pink skirt. Barbie is always pretty looking and can pull off trendy styles, like going from plain blond hair to pink streaks throughout. 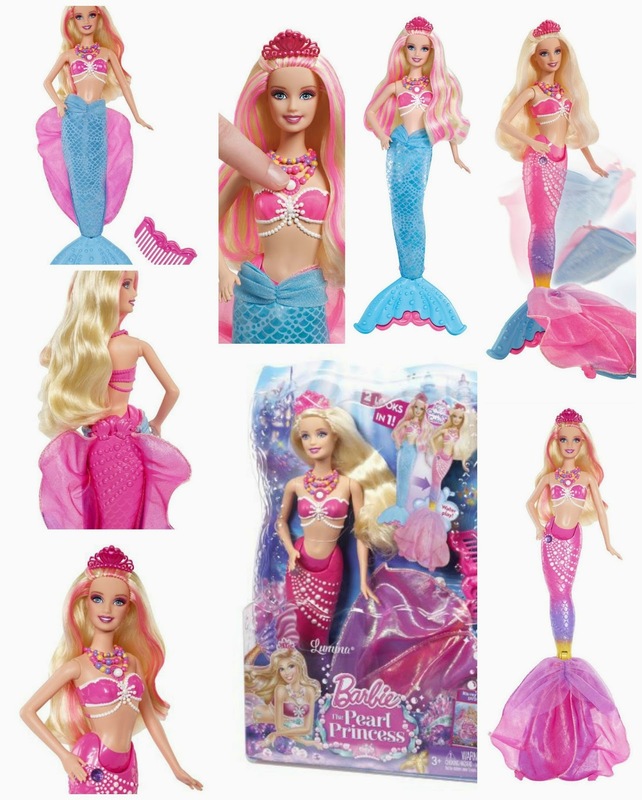 :-) Fans of Barbie, both young and old with love this new transforming Barbie Mermaid doll.
" 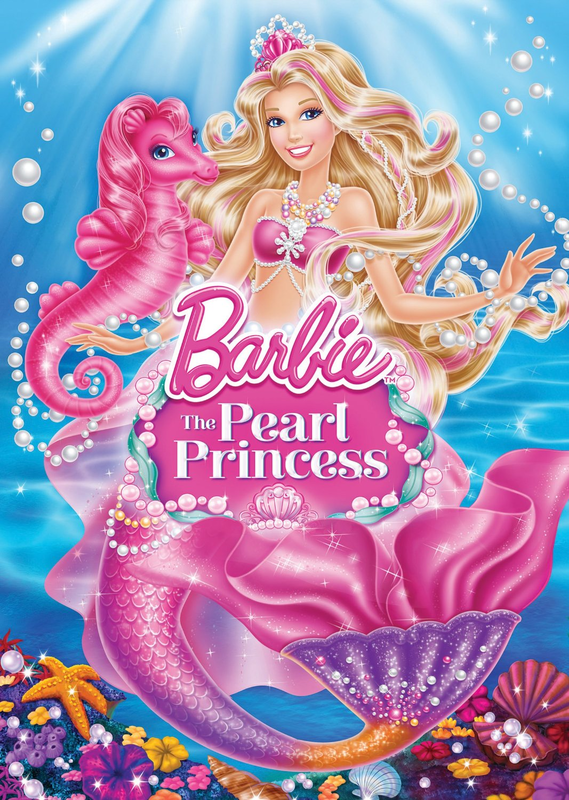 Barbie™ stars as Lumina™, a mermaid who dreams of being a princess. As long as she can remember, she’s had a magical power that makes pearls dance and glow! Lumina™, and her best friend Kuda, a pink seahorse, embark on an adventure to a majestic mer-kingdom. There, she uses her powers to help her friends prepare for the Royal Ball. Lumina™ then discovers that her magical pearls are the key to unlocking her true destiny and ultimately saving thekingdom." The girls' screening party was also a hit, as the girls came dresses in Barbie shirts and skirts and had a blast playing with the pile of Barbie and clothes Bella had dumped out in the middle of the living room floor. I could see myself in the girls as they played with the Barbie dolls.